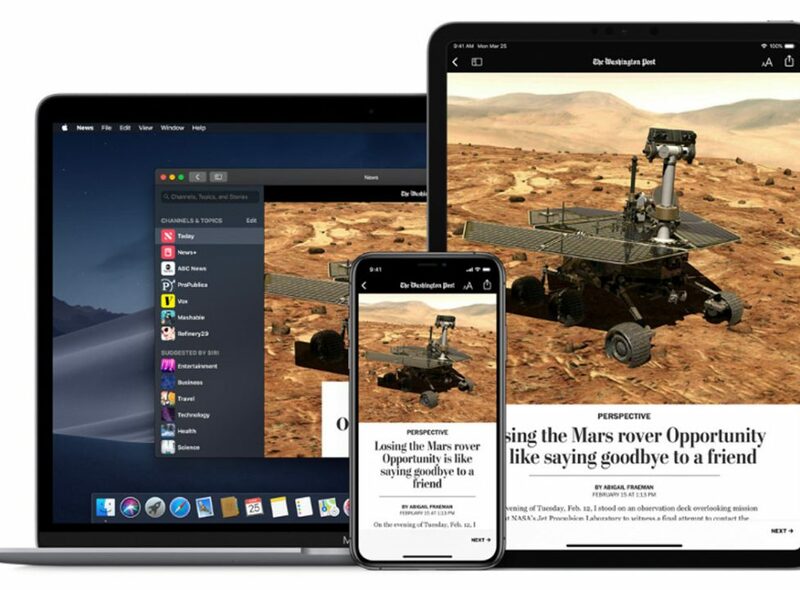 Apple News+ is a subscription service that offers more than 300 magazines and premium paywall content at $9.99 per month. The service is integrated into the current Apple News app. Magazines include National Geographic and Time, and paywall content includes The Los Angeles Times and The Wall Street Journal. Articles can be read online or offline and the service can be shared for up to six family members. Users can try Apple News+ free for one month.